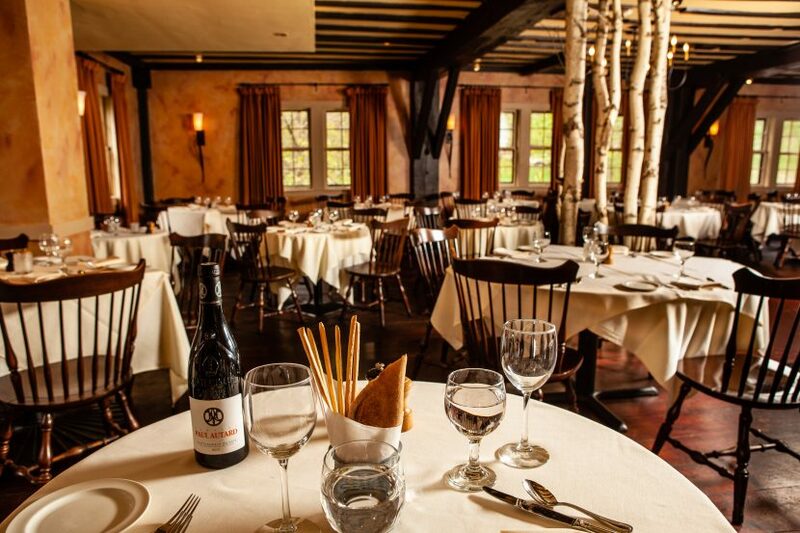 Located in the heart of South Egremont, The Old Mill has been a Berkshire dining favorite for over thirty-five years. Chef-Owner Terry Moore oversees a well-trained kitchen staff, serving seasonal, contemporary New England cuisine as well as traditional favorites. The dining room’s wide plank floors, dark chestnut beams, wrought iron sconces and wood-burning forge give this 1700’s grist mill a feeling of rustic elegance. With a genuine devotion to hospitality, Terry, General Manager Ginny Filkins, and our terrific front of the house staff bring our dining room and bar to life. Please join us!